Posted on 07 July 2018. A Release following an urgent NDPRAC meeting, the third since the beginning of the hurricane season the group chaired by H E Governor Andrew Pearce is “urging residents to remain vigilant to tropical storm Beryl, as the path a storm or hurricane can change at any moment.”The National Disaster Preparedness Response Advisory Committee (NDPRAC) met at 1.00 p.m. on Saturday July 7, 2018 at the Disaster Management Coordination Agency (DMCA) to discuss the impending storm.“Disaster Management Officials provided an update on the path of Tropical Storm Beryl.“The message now is for residents to remain vigilant and to continue to monitor the path of the system, which was downgraded to a tropical storm on Saturday. Hence, there’s no need for alarm at this present time, however, persons should not be complacent as tropical storms and hurricanes are fluid by nature and can change at a moment’s notice.”The release further advised that the core NDPRAC will meet on Sunday July 8 at 12 noon following the 11 o’clock weather advisory. On Monday this week, under a theme: “Plan and Take Action… Always Prepare for the Unexpected”, a tabletop exercise was held here on Monday, July 2, 2018 at the Disaster Management Coordination Agency (DMCA) to test Montserrat’s readiness to respond to a tropical storm or hurricane impacting the island. The exercise, held as part of the DMCA’s 2018 National Hurricane Conference, of which the ‘media’ was not a part, (not invited to participate, uninformed) brought together key personnel from the public sector, statutory organizations and non-governmental organizations (NGOs) to assess their individual plans to respond to a tropical cyclone event. The exercise led participants through a simulated hurricane scenario and prompted them to examine their plan of action and procedures at various phases of the event and how it ties into the Montserrat National Hurricane Plan. In very short notice, perhaps responding to some media concerns on ignorant exclusions, His Excellency Andrew Pearce met immediately with the press, after today’s meeting with the National Disaster Preparedness Response Advisory Committee (NDPRAC), which is comprised of key senior government officials, including the governor, premier, MVO and the police, where he was quizzed on the activities of the earlier meetings. While shelters most likely won’t be needed for the passing of Tropical Storm Beryl, based on its current trajectory, they are ready to be put to use.However, Montserrat still has several major issues which need to be rectified. The governor who is witnessing his first hurricane season in Montserrat, reported that the DMCA has been working since the last hurricane season to prepare the designated 12 hurricane shelters and they are in working order and can manage about 300 people collectively. Montserrat is not where it needs to be in terms of its preparedness at this point in the hurricane season. He said working with the relevant departments, they are tackling five key areas. The first being, non-electrical supplies and equipment for the shelters, including cots, First Aid kits and water pumps. Totaling about US$300,000, these supplies are to be managed by the DMCA once they arrive on island. Second, electrical supplies including generators are also to be procured. However, there has been a delay in the process as they were working to establish the various power supplies and correct voltage needed for the locations. 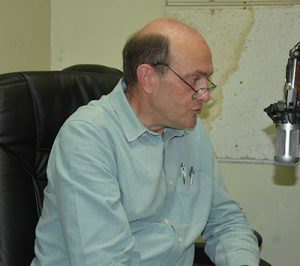 Governor Pearce said communications can be a nightmare in emergency situations and Montserrat currently does not have enough emergency radios, and base stations are not where they need to be. The UK Government under the Hurricane Preparedness Plan for the Caribbean Overseas Territories is providing technical support to assess the island’s communications needs. The fourth priority area is the national radio station infrastructure. The governor said EC$500,000 has been allocated to purchase a relay for Garibaldi Hill and strengthen the transmission tower on Silver Hills. The fifth area is the personnel coordination to ensure that teams know what they are to do and everyone has shared their relevant contact information. He said further, they are aware of the vulnerabilities and are working to address them. However, he was not optimistic that the communication challenges would be fully rectified in the coming weeks but rather saw an end of the hurricane season date as the most probable. (CNN) – The year’s first Atlantic hurricane weakened Saturday morning into a tropical storm, but Caribbean islands struck by last year’s devastating hurricanes are still on alert.